24 July 2016 was the first day that Social Media Traffic Exchange has launched and for a limited time we have great deals in place. First of all when you sign up for free you receive 1,000 coins to get you started with being able to share your website(s) within the traffic exchange and/or share your Social Media sites. Because we are just now launching I also would like to thank you all ahead of time for contacting me with any glitches or other things that you notice that may need tweaking. This site is Free and you are welcome to remain a free member for as long as you would like. Becoming an upgraded member is very affordable and does come with quite a few perks and whenever you feel comfortable with your ability to become an upgraded member I also welcome you to do so. Banners are also available to be purchased to advertise and the lowest cost banner ad is only $1 for 14 days so that you can try it out for a very minimal cost. The VIP upgrade is also very affordable and the 14 day VIP upgrade is only $2 which only amounts to less than 15 cents per day. The banner ad and the VIP upgrade prices may not remain at what they are for long. After the first 30 days of launch I will take a look at where we are and decide if the costs involved with banner ads and/or VIP upgrade need to increase and how much. Of course those Friends who upgrade to VIP and/or purchase banner ads prior to the 1 September 2016 day of deciding upon the new costs will be locked in forever at the low costs. It is my vision to grow this website so that we all can receive quality website traffic, referrals and revenue to our websites and/or opportunities and with quality Friends as well. Wow! This is a great article for social exchange. It looks like this is the most awesome traffic exchange website on the internet today when it comes to driving traffic towards money making website. Thank you for your very well- explained review on how social exchange websites work. Furthermore, i have a few questions listed below…. Do you think is it worth to advertise on these kind of traffic website? Which social sites and categories does it cover? 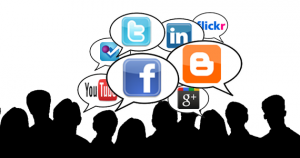 How effective is it now to get the traffic from social media platforms? Thank you for viewing and commenting. There is an awesome Traffic Exchange where any websites and/or referral links can be shared and most all Social Media sites are covered including Facebook, Twitter, LinkedIn, Google Plus G+, YouTube and much more. Sign up for Free and see how SocialMediaTrafficExchange.com can increase your wesbite traffic, referrals and revenue for free. Very good article, I think this be great for any business. I have a question: will I be able to categorize my ad campaign for eg by age, demographics, marital status ext. if yes will I able choose more than 1 options. Thank you my Friend. With the Traffic Exchange you are able to choose gender and Country and the website views would come from actual members on the website. The SocialMediaTrafficExchange.com website just launched on 24 July 2016 so the Members will grow more and more each day. This looks like an awesome idea Tony! I have discovered that social media is an absolute necessity in marketing a website – we all need traffic! Can you give a little more detail as to how this whole thing works? Exactly how are they shared and on which platforms? This is really something I’m interested in but need a little more information. Visit SocialMediaTrafficExchange.com for more information my Friend or view the FAQ page. What a great great great idea. I hope to see more traffic to my site, and if it’s working I definitely will become a VIP of this program. Thank you for a great review of this program. I will tell you how it’s working for me in the next few days. It is my pleasure to share with Friends to help increase website traffic, referrals and revenue my Friend. Welcome to Social Media Traffic Exchange Elfi! Hi Tony, this looks cool. I especially like that you can choose gender as both my sites are aimed specifically at women. I went over to your .com & am keen to join. Could you please add Flipboard or Scoop.it to the list of social sites? Or are you considering adding to the list in due course? I will look into adding more Social sites such as Flipboard and Scoop.it in the future my Friend. Thank You for the suggestion and welcome to the Social Media Traffic Exchange platform my Friend. This sounds interesting. There are so many traffic exchanges around but none dedicated to social media that I know of. The proof of the pudding is in the eating. I’ll register to see how this works. I also see the cost is very affordable. Does this also mean that you cannot share any site not linked to a social media. With the Traffic Exchange feature you can share any website link and/or referral link that you would like exposure to in order to generate website views and/or referrals my Friend. This is with the WP Fanzone theme my Friend. I utilize it on all of my sites for example TonyLeeHamilton.com except for the main site for Social Media Traffic exchange as that site isn’t a WordPress site my Friend. Hi Tony! Hope you’re good. Your website is now marked as one of my bookmarks. I think this is really essential for my website! My niche is about Hair care and I have a few ideas now related to promoting on social media. I just need to take care of a few things first. I have a question .. Do I choose the design of the banner, or are you in charge of this ? I don’t really know how this stuff works, I am very new to internet marketing. If you are going to run banner ads then you would choose your own banner and share the banner by creating a banner ad. The Traffic Exchange part of the site is where you can add any website link and/or referral link to increase website traffic, referrals and revenue. The Social Media area is where you can share your Social media sites and get followers, likes etc..
Melody, Thank you for taking a look at the main Social Media Traffic Exchange as well my Friend as that is where you will be able to share your links, banners, social media sites and more. I didn’t even know something like this was out there! I think this could be really beneficial to help get my business out there more! Does this cover all social media, such as Instagram, Facebook, Twitter? Or is it limited to one platform for now? I’m interested to see how well this will work! I launched this site to help Friends with increasing website traffic, referrals and revenue with real Friends from around the world. Facebook, Instagram and Twitter as well as many other social media sites are available on the Social Media Traffic exchange platform my Friend. Really excited to see how this will turn out. The deals that you are putting forward are also very nice. 1000 coins are really nice. How much traffic can you get with these 1000 coins you think? Or maybe that depends on what platform you are using it for. Being locked in for the cost if you decide now is very tempting. I will consider it and get back to you. Thank you for viewing my Friend. The 1,000 coins upon signup can give you a different amount of website views and/or social media likes, follows etc. depending upon how many coins that you decide to offer for each. The higher amount that you offer the more likely that your offer will be accepted. As a free member you are able to offer up to 25 coins per exchange and as a Premium member you are allowed to offer up to 100 coins per exchange. Here are the Frequently asked questions Marcus and they will help answer many questions that you may have about the Social Media Traffic Exchange platform my Friend. Hi Tony, very interested in your new products and congratulations on creating something that will benefit a lot of ambitious internet marketeers! Can you use the product on multiple domains and how granule is the reporting? Also is there a lot of scams and spam products in the social media traffic business and if there is what advice do you have in avoiding them? Members can add as many domains as you would like as well as Social Media sites. There are scams with any type of online business and not all Traffic Exchanges or Social Media Exchanges are created equally and that is one of the reasons that I have launched SocialMediaTrafficExchange.com to have a safe environment for Internet Affiliate Marketing Friends to share website(s), Opportunies and/or social media sites with real Friends from around the world. All the best with this business venture, I hope it becomes very successful for you. I was wondering exactly how this system works? What do you get for the 1,000 coins? How many times do you get the chance to advertise with this amount of coins? I am very intrigued by this as I want to get my website noticed. Thank you for your inquiry my Friend. The 1,000 coins are available for members to use upon registration and provide real traffic to your website link(s) of you choice. The site is geared towards increasing website traffic, referrals and revenue for Friends from anywhere in the world. You can list and share an unlimited amount of website posts and also earn more coins by visiting other member’s website posts as well. SocialMediaTrafficExchange.com can absolutely get your website noticed and/or also grow your Social media presence. Congratulations! I haven’t thought about banner ads for a long time! I’ll have to take a look into it, and see if there is anything I could use on my site! OTOH, I’m still all new to all of this, so maybe I’m thinking of something entirely different! 🙂 In any case, will drill down into your site some more and see if this is something for me! Thanks! The banner ad availability is just one small part of the SocialMediTrafficexchange.com site my Friend. There is also the Traffic exchange and the Social Media Exchanges as well as an Affiliate Program. Thank you Michael, View the FAQ Frequently Asked Questions as well as the Blog on the site for more information my Friend. This is a very nice and informative post. This in time will be a very successful venture. I myself, having two blogs managing right now and also being very new can certainly benefit from something like this.Thank you so much for the=is information and I will certainly consider joining forces with you. The SocialMediaTrafficExchange.com is great for incresing website traffic as well as earning referrals and revenue my Friend. You can share your blogs on the Traffic Exchange and upon registration receive 1,000 advertising coins for free to get you started. I love anything that I can use to boost my social media traffic up and Social Media Traffic exchange sounds absolutely brilliant! The results have been great so far my Friend as there are currently 196 members from 30 different countries. View the post about the members and Countries represented here Riaz. It is free for as long as you would like my Friend so go to SocialMediaTrafficExchange.com and register then you will receive your 1,000 free advertising coins to get started boosting your Social Media Traffic as well as Traffic to any website(s) and/or Referral links Riaz. This is such a great site Tony! There is so much to it, it’s great ! Thanks for building this site! It is my pleasure to help Friends increase website traffic, referrals and revenue my Friend. SocialMediaTrafficExchange.com was created for real Friends to exchange wesbite views and social media as well. Thank you Barbara for viewing, commenting and being an active part of the community. amazing website for traffic exchange. very cheap traffic for the money making websites. very useful website for any money making website.I hope this website is very helpful for my business and I will share this website experience to many of my friends. thank you so much for the honest review of social media traffic exchange. You are very welcome Dharmesh and thank you my Friend. SocialMediaTrafficExchange.com was created to help Friends increase wesbite traffic, referrals and income as well as increase social media presence online. Tony, I’m loving the idea behind your site of being able to promote your social media sites to others. Before I wasn’t interested in this kind of exchange until I joined CoPromote and it’s great to be able to gain traction so quickly. I’ll look more into Social Media Traffic Exchange, thanks for sharing! It is my pleasure to share a way to increase website traffic, referrals and revenue with Friends. Social Media Traffic Exchange also has a great traffic exchange as well as a social media exchange. Hey there Tony, I really like what your doing here but I have a couple questions. What I would like to know is what exactly is this supposed to do? Is it a way to monetize all your social accounts into one platform and maintain them? Also, I noticed you had Ad capabilities and things but I’m confused on how it differs from the regular Ads you can do on the social media accounts themselves. I’ll admit I am still new to all this and learning, and I think you’ve definitely created something here that can benefit someone like me. I just need to understand a little more what I will be able to do by joining. Thanks Tony, I look forward to your reply. the SocialMediaTrafficExchange.com site was created to help Friends increase website views, referrals and revenue from anywhere in the world. The Banner Ads are located right on the SocialMediaTrafficExchange.com and visible to the members there. Social Media sites can also be exchange by members to help grow each other’s Social Media presence. Thank you Nicholas for the questions and here is also a link to the Frequently Asked Questions FAQ page. This traffic exchange sounds pretty awesome, I am not sure how these traffic exchange programs work can you explain them to me? I have tried traffic websites in the past with very little success, what makes this one different? How much success in traffic have you experienced using this program? 2) The timer is between 24 – 99 seconds for each view instead of the 5 – 20 seconds with most other traffic exchanges – Who can really view a website post and/or link in 5 – 20 seconds? 4) 1,000 Free advertising coins just for registering so that members can get started receiving views. likes etc.. right away. There are many other differences so I shared a few with you. This is a great idea, all the website newbies want to get more traffic and what an inspiring way to do it. The prices you listed are also very affordable and can easily be reached. I would really like to support you in the Social media traffic exchange program. Thanks for the info and the great idea! The SocialMediaTrafficExchange.com site isn’t just for newbies my Friend as there are many experience marketers already as members on the platform. I have been looking for a quality free traffic source. I will be trying this program out. Finding good traffic that is for your niche can be very hard. Does the traffic go by niche? I use the typical social media sites to get traffic. It takes a lot of effort to squeeze out bring visitors to your site. Thanks for sharing a quality read. I will let you know how it goes with traffic site. No it doesn’t go by niche but you can specify Country and gender. SocialMediaTrafficExchange.com is for helping Friends increase website traffic, referral and revenue and also for building social media m=presence. You are welcome my Friend as yes that is what SocialMediaTrafficExchange.com is all about! Helping Friends increase website traffic, referrals and revenue from anywhere in the world! I have signed up to your website as a free member and have been building on my websites and a blog for 5 months just. I have 5 websites and 1 blog so far with quite a bit of content on them too. I am quite proud of them. I have a question about the multiple places to add a page to because I am unsure about the best option. I have added one to Google and one to traffic exchange so far. I am sure the penny will drop at some point but until then do you have any tips? The Traffic Exchange is the best place to add any website posts, IBO Press Releases and/or Affiliate Links my Friend! There is also the option of upgrading to Premium and/or purchasing banner ads and for a very small charge as the Return on Investment (ROI) possibilities are unlimited! You can also earn advertising coins and cash for referrals to the Social Media Traffic Exchange as well Andi.